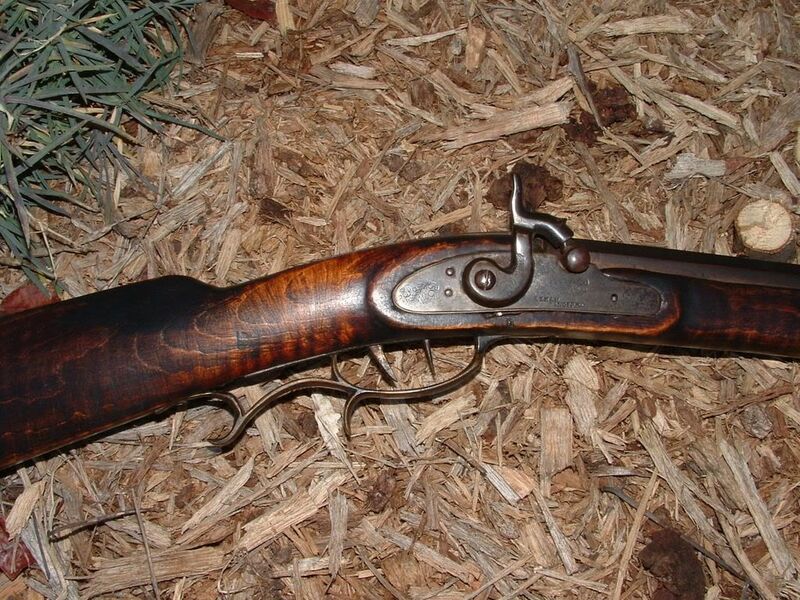 According to Gunsmiths of the Carolinas, 1660 – 1870, James M Wood was a gunsmith in Jamestown North Carolina from 1850 – 1878. He is listed as working with Anderson Lamb in 1850. 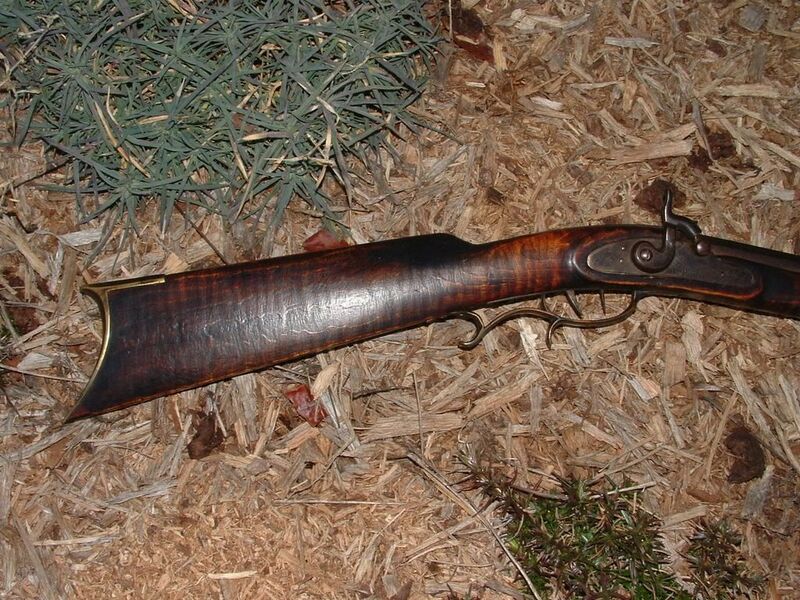 This rifle is a typical example of the half stock rifles that were made in Jamestown North Carolina in the mid to late 1800’s. 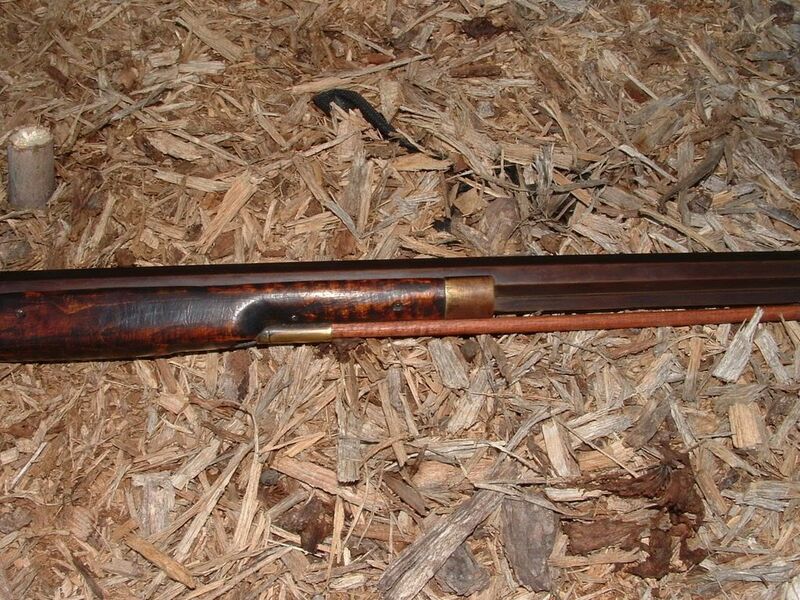 The stock is made from curly Maple with brass furniture. 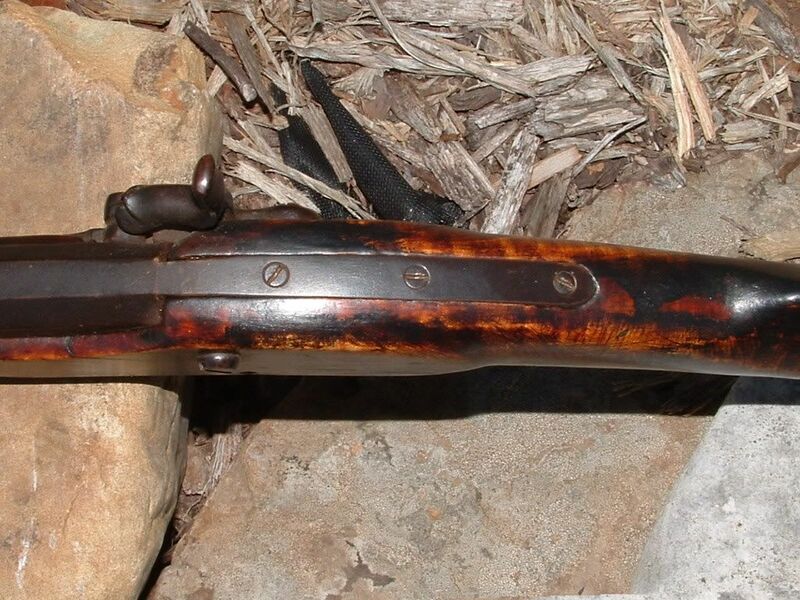 There is an old repair on the forward bow of the trigger guard. The forward ramrod thimble has been re-soldered to the under rib. The rear ramrod thimble is missing the extension onto the forward portion of the forearm. This has been missing for quite some time as evidenced by the wear to the wood edges where the extension was inletted. The stock has no repairs and is in very good condition. 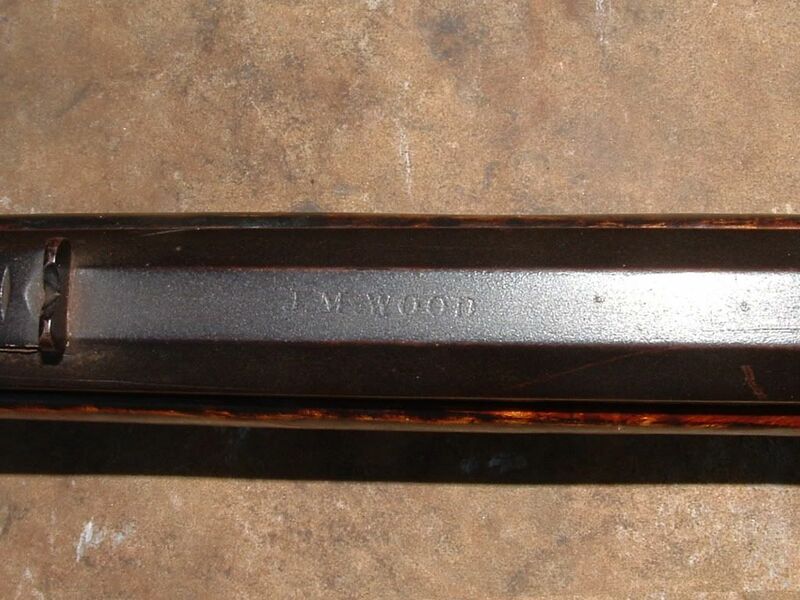 The finish on the wood appears to be the original finish. 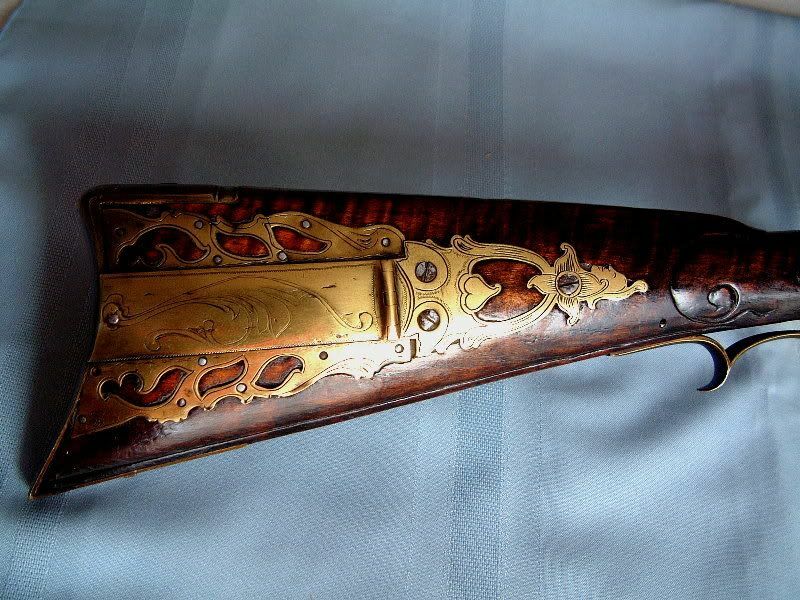 When new, the stock was never finish sanded, as there are still file and rasp marks covering the wood. 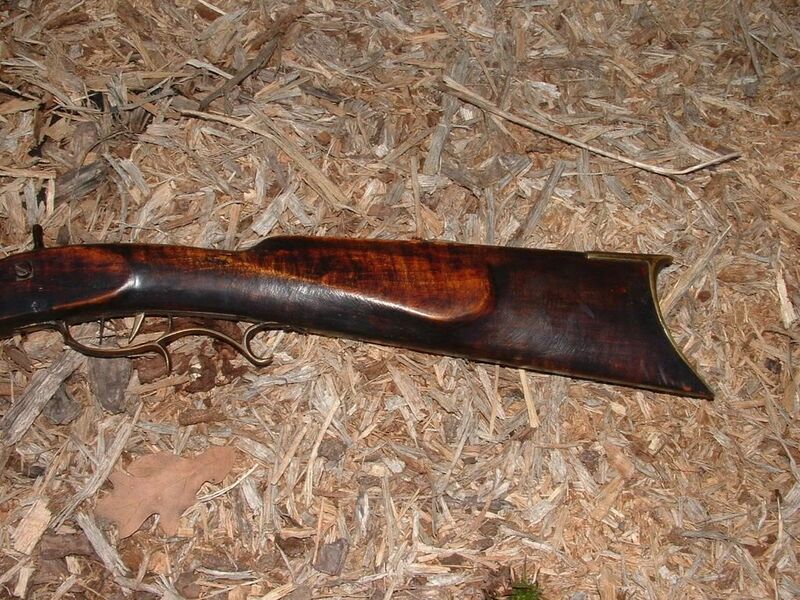 The double set triggers function properly and the rear trigger may be an old hand-made replacement. The Percussion lock functions properly and is marked LEMAN LANCTER PA. 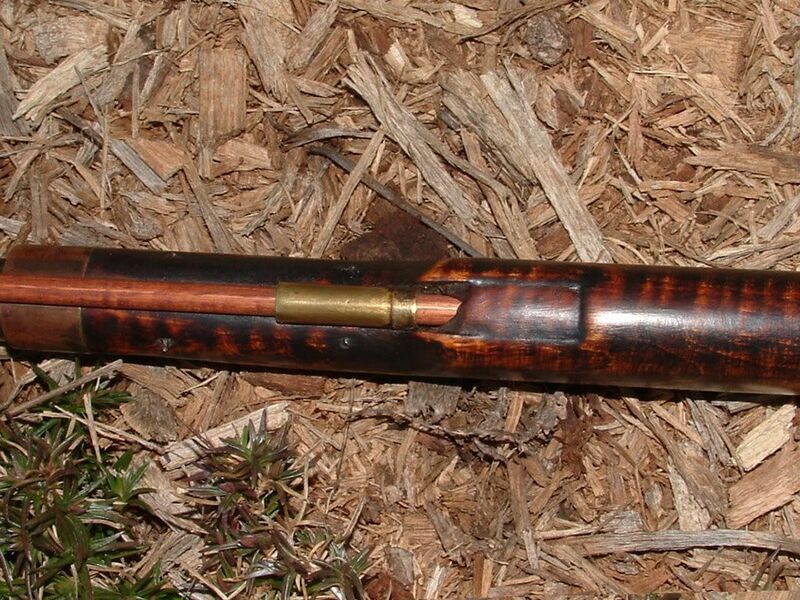 It is quite common to find LEMAN locks on other maker’s rifles. 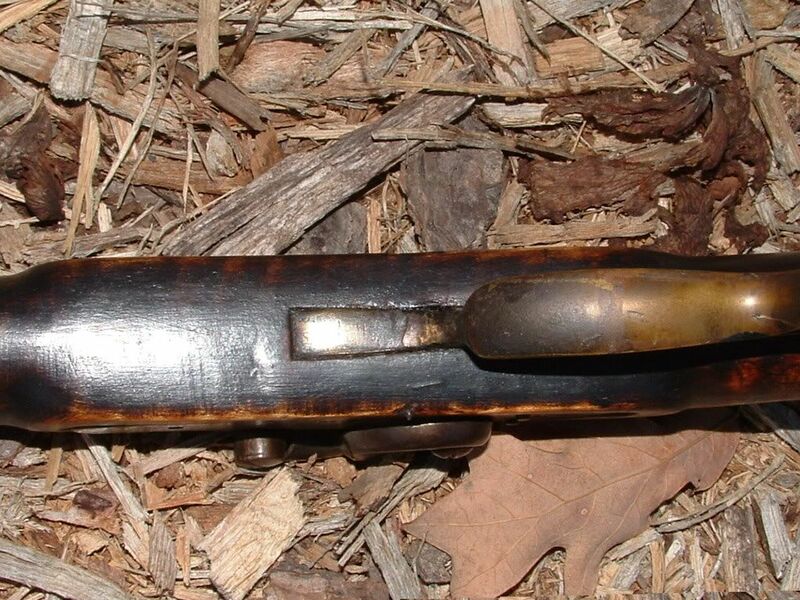 The .34 caliber barrel is 40 7/16 inches long with a slight taper from the breech to the muzzle. 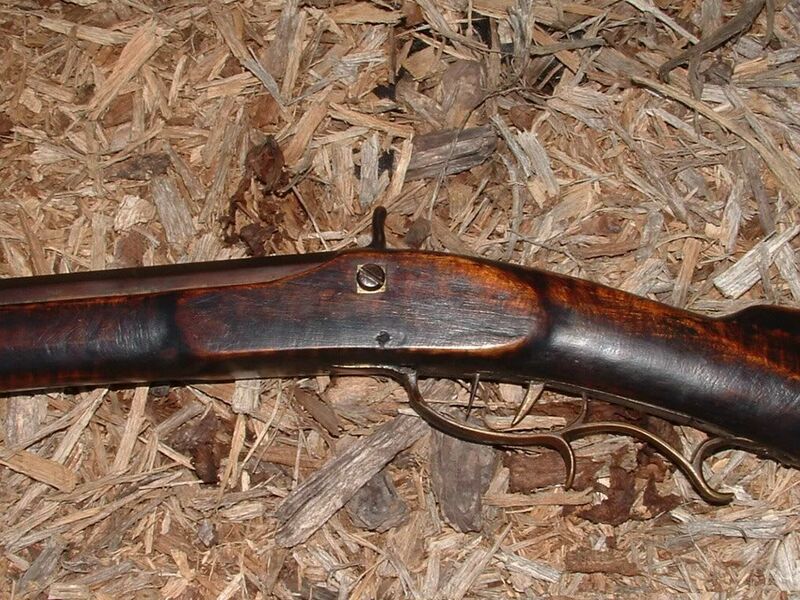 The tang is 4 3/4 inches long and is secured to the stock with three screws. The ramrod is a replacement.